This would be another blog on Collaborative Forecast, see adding Opportunity Split and Configuring Collaborative Forecast blog earlier. Can be expressed as dollar amounts, units or product or both. 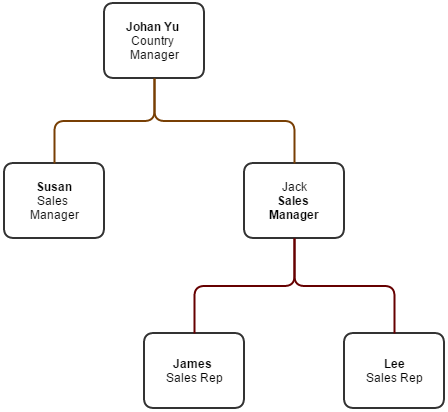 Each user have their own quota, include Sales Manager and Country Manager. Each user also owned opportunity, the opportunity number of Sales Rep will roll-up to their Sales Manager, and Sales Manager number will roll-up to the Country Manager. So, all number will roll-up to the user in top hierarchy. Navigate to Setup | Customize | Forecasts | Settings, enable Show Quotas and click Save button. Install an app from AppExchange called Edit Quotas, this is a free app developed by Salesforce Labs, although it is an app salesforce from salesforce labs, but it still consider as external app, meaning no support from Salesforce support. You need to select a Forecast Type for each quota (if you have more than 1 forecast type). The data loaded in Salesforce to Forecasting Quota object, you can use any API to check and confirm it loaded successfully. Now, it's time to confirm if it works. 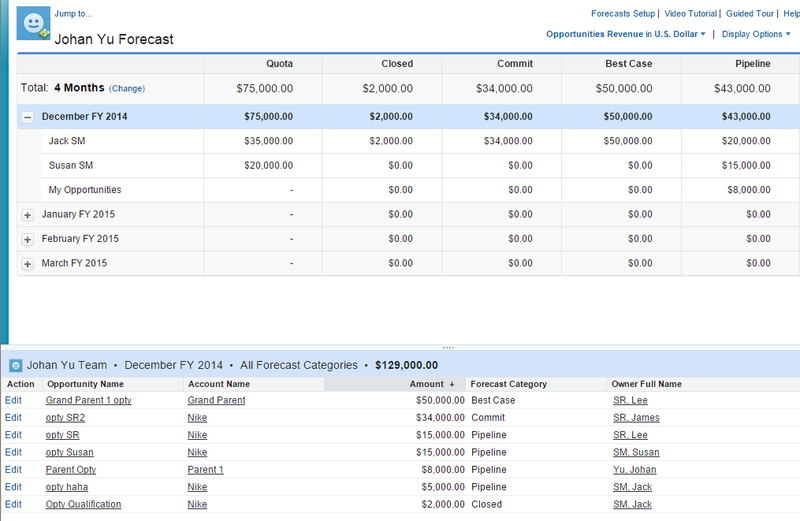 Click Forecasts tab, you should see a new column Quota at the left before all 4 columns for Forecast Category value. When you click the period, as user in top role hierarchy, you will see all opportunity number will roll-up to the Forecast Category included opportunity owned by the user itself, it showed as "My Opportunities" after all direct user in the Period. Each user will have their own quota and it is not related to the quota owned by other user in the role hierarchy. Notice at the top right area, you will see new link Display Options, you can enable to show Quota % Attainment. Once you select Show Quota % Attainment, it will show percentage of amount for each user compare to the quota for each Forecast Category. When you drill down to your sub-ordinate, it will show the same thing for people under that sub-ordinate.